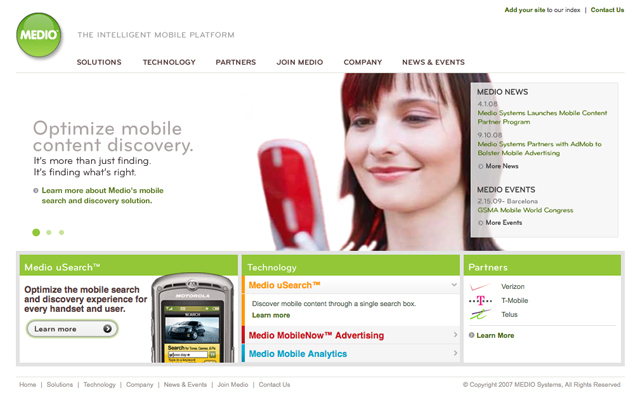 Medio is a mobile search and advertising leader that needed a crisp, clean online presence to communicate with current and potential partners. 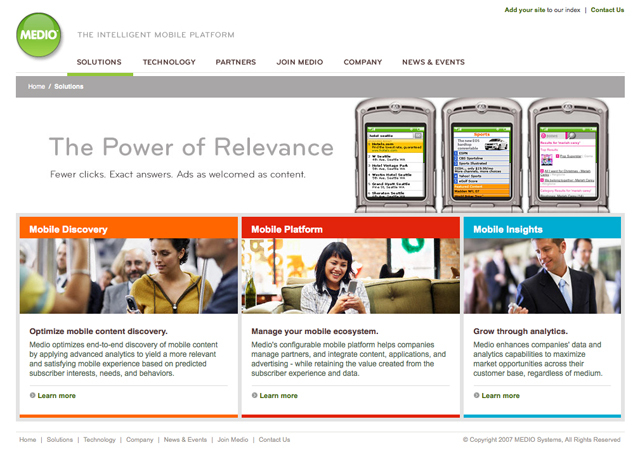 The solution we developed is a clean, intuitive user experience with a fresh front-end design and robust CMS, using ExpressionEngine. 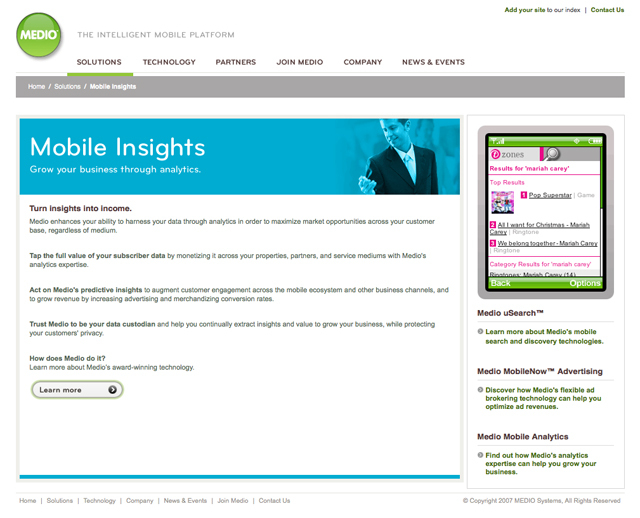 Medio now has a site that supports their overall strategy and is easy for them to keep up-to-date.